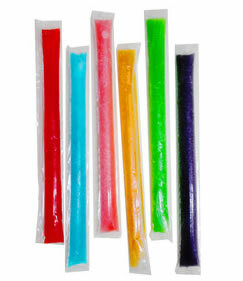 When I grew up, in Canada, there were two main cold treats in the summer: ice cream and those long freezies that cut the sides of your mouth when you ate them. And maybe popsicles. It wasn’t until I came to Korea that I discovered something better than all of that. You heard me. Even better than ice cream, and not just because this thing sometimes includes ice cream. 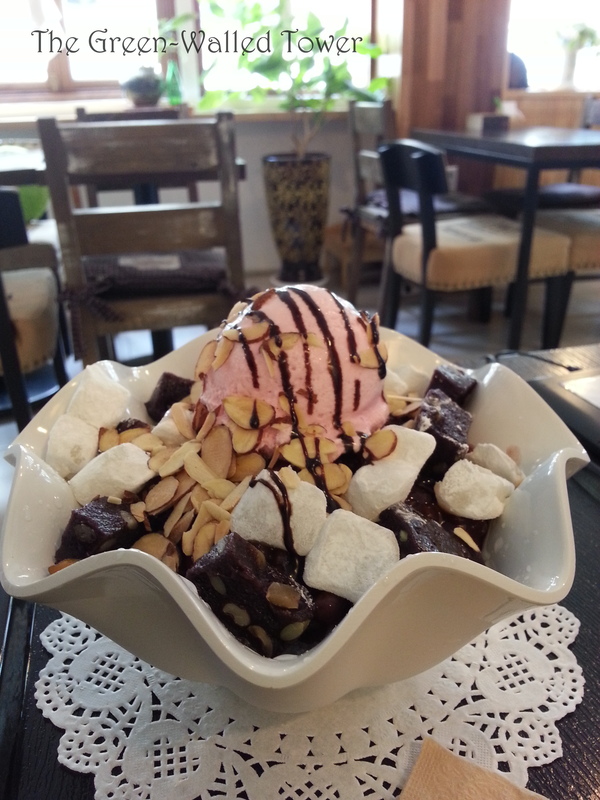 It’s called patbingsu (팥빙수) which translates as “red bean ice water”. Okay, I admit that’s not a very delicious-sounding name. Bear with me. 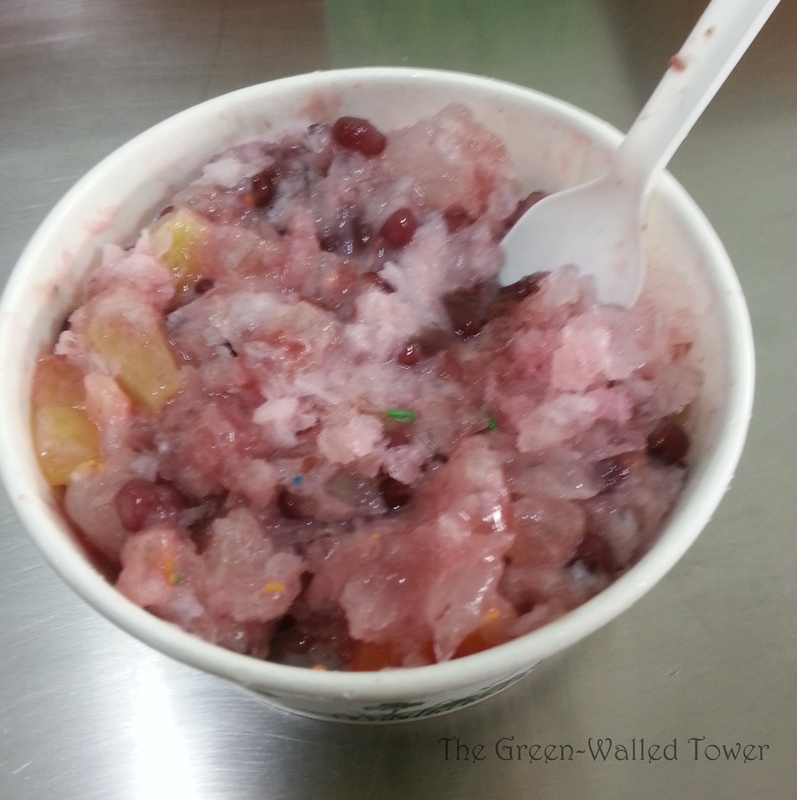 The main ingredient of any patbingsu is shaved ice, which makes up most of it. This guarantees it’s about the most refreshing you could eat on a hot summer day. After that, there are sweetened red beans. Some people don’t like them, but I really do. Beyond that, it’s whatever you want to put on it. The most common toppings are ice cream, condensed milk, fruit cocktail, fresh fruit, small candies, strawberry syrup, small little rice cakes that look like marshmallows, sprinkles, etc. This has long been a summer mainstay. Everywhere serves it over here, even fast-food restaurants like McDonald’s and KFC. Here is what I think of a traditional patbingsu looks like. This is what I ate today at a hole-in-the-wall food stand near my school. Of course, this is how it comes but you can’t eat it like this. First you have to mix it up really good until it doesn’t look as pretty. 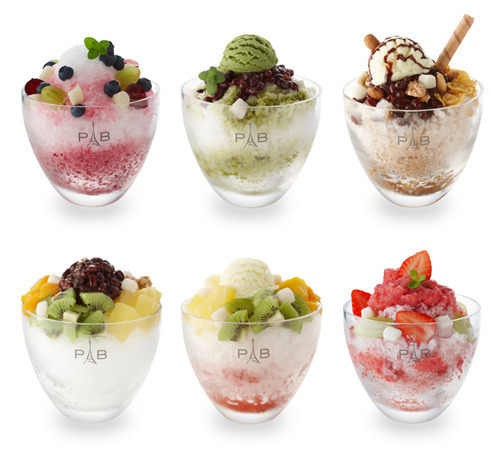 These days, patbingsu has become a more high-class treat and so has generally become much more expensive and made with higher-quality ingredients (not better though, in my opinion). The above patbingsu cost me about $2.50. This one is much fancier and has sliced almonds, pieces of ddeok (rice cake) and things that look like brownies but aren’t (I ate it and I still don’t know what they were). It was good, but almost twice the price as the one above and not quite as good. These are all quite delicious (except maybe the green tea bingsu) although they are quite expensive. 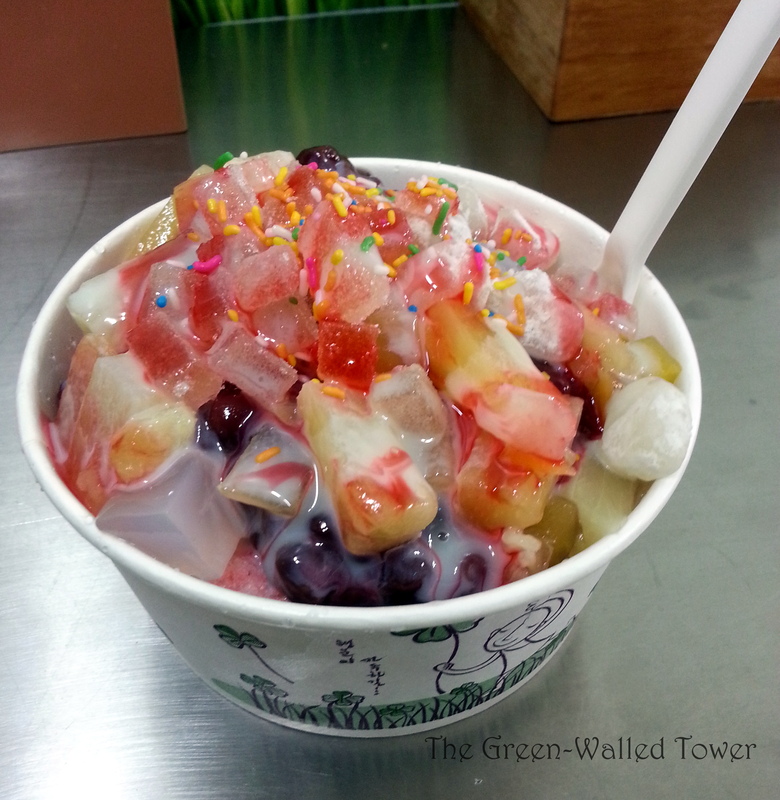 The most expensive bingsu I ever bought was a 2-person strawberry frozen yogurt bingsu for about $12.00. Whenever I finally go back to North America, this will be one of the hardest things about Korea to leave behind. One solution is to live near a large Korean population. Another idea is for all of you who live in North America to start popularizing this dessert and really make it catch on in a big way (you can start by sharing this post). That way, when I get back, it will be there waiting for me.